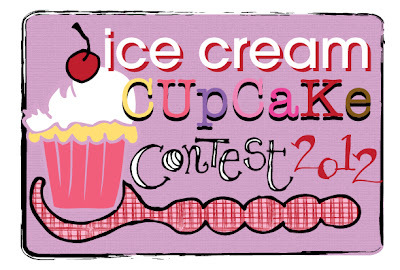 As I announced earlier in the month, this year I had been given the honor of being one of the judges in the Cupcake Project's 5th annual Ice Cream Cupcake Contest... and the time has finally come for the judging portion! I can't think of anything better than my two favorite desserts cleverly combine into a sweet little plate of sugary deliciousness! I couldn't be more excited to participate and drool over all of the fabulously creative combinations... but never had I anticipated how difficult the judging process would be! Pretty much ALL 72 participants in the contest REALLY blew me away and had me bookmarking recipe ideas all month long. These sprinkle studded, cake batter flavored desserts immediately caught my eye because of their fun presentation! I LOVE cake batter flavored ice cream, like the kind you get at those fancy creameries. 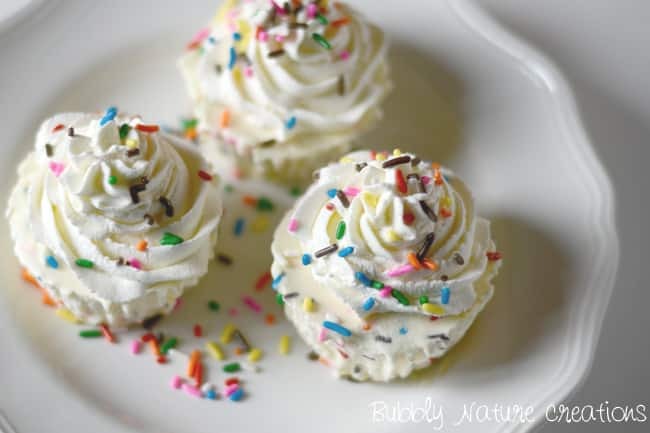 Paired with a yellow confetti cake (one of my fave cake flavors along side chocolate) and the addition of whipped topping, these sounded like the most delicious, creative and fun ice cream cupcakes ever! The cool refreshing combo of mint and chocolate is one of my personal favorites, and I could literally shovel chocolate buttercream into my mouth by the spoon full, so these were a clear favorite for me. I also loved the presentation of the homemade mint chocolate chip ice cream sandwiched between the cake with the generous slab of rich chocolate buttercream on top... mmm. Now, these cupcake didn't have frosting... but they did have a warm buttery bourbon brown sugar caramel apple pie filling (try saying that 5 times fast) on top of the cupcake. 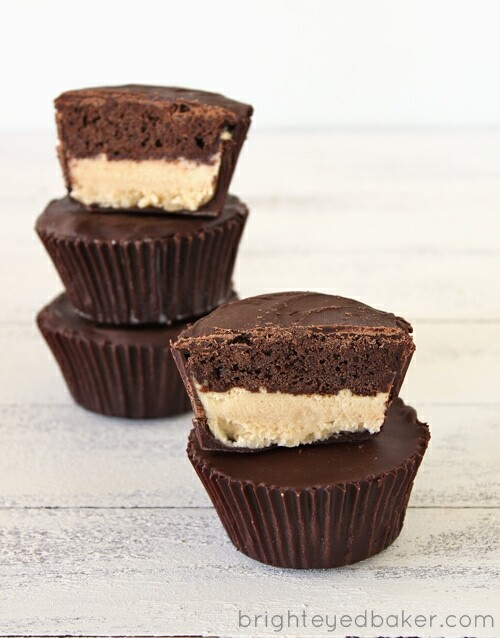 And using the ice cream to serve these a la mode with the homemade caramel sauce on top was such a creative and delicious way to bring one my my favorite autumn time treats to summer! These cupcakes were ever so close to making my top three that I just had to mention them! 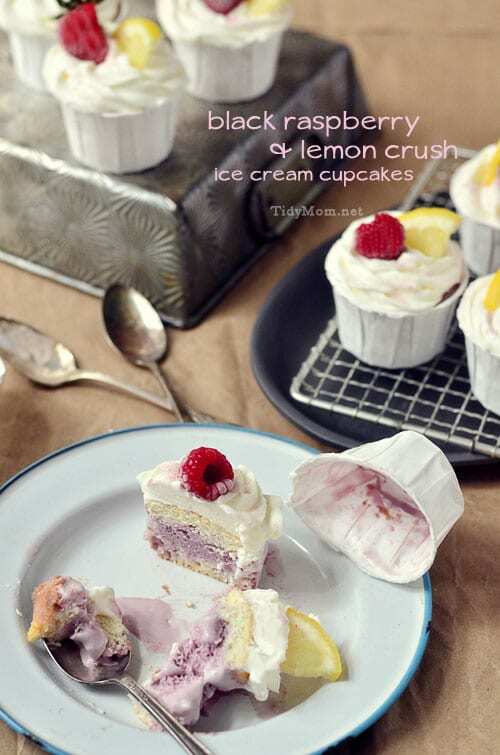 These Black Raspberry & Lemon Crush Ice Cream Cupcakes from blogger Tidy Mom were a close contender. They are the perfect combination of refreshing summertime flavors topped with marshmallow frosting and fresh fruit, yum! Not to mention the absolutely beautiful presentation! Thanks to everyone who participated and entered for a chance to WIN a $250 gift certificate to your favorite cooking/baking supply store OR one of the three entry prizes that will randomly be given away to three lucky participants! Be sure to check out all of the entries for yourself and show some of your new favorite bloggers some love by commenting on their post! Most of all, a big thank you to Stef from The Cupcake Project for the opportunity to participate in judging the contest! She has such a fabulous blog, all about, you guessed it... CUPCAKES (and other incredible sweets and genius recipes) so make sure you check her blog out at The Cupcake Project.com!